No rest from gym and exercise training even when you are on the road. 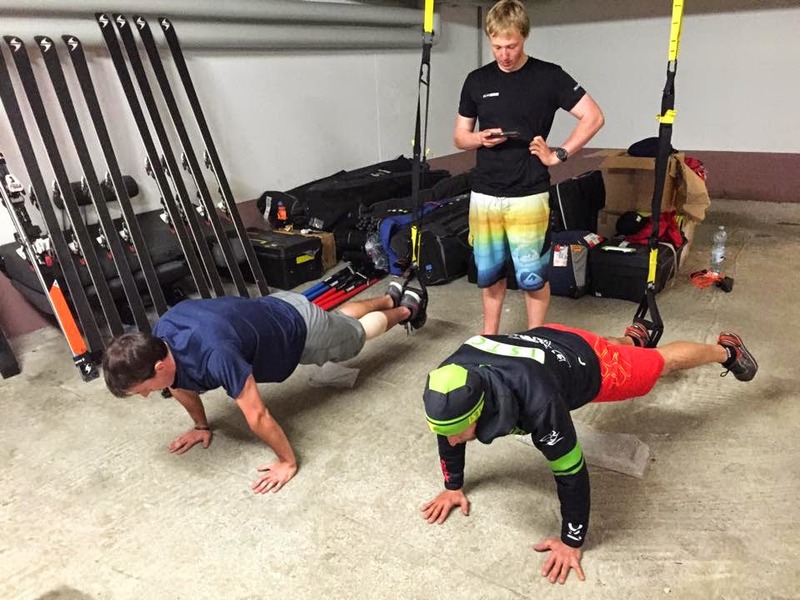 Here I'm timing a couple of team mates while they use the Trx system in the garage. Some races this weekend and then back to Colorado where the snow is heavy - I see powder runs in the future!